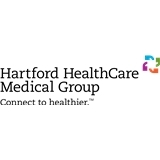 Hartford HealthCare Med Grp-PrimaryCare (Vernon) - Book Appointment Online! Richard was running a little late but he didn't rush through my visit and took the time to answer all my questions. He is very knowledgeable and easy to talk with.